The Patroness of Gardeners feast day is February 6th. 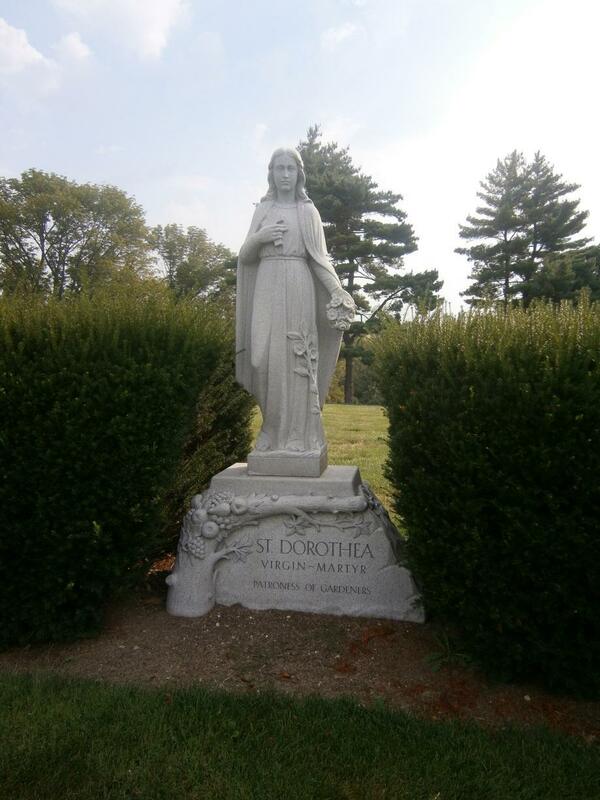 With the abundance of beautiful trees and gardens within Gate of Heaven Cemetery, the shrine of St. Dorothea, like that of St. Jude, is a perfect addition. By the radiance of your holy life you did draw the two sisters united in spirit into Eternal Light; and did send roses and apples from Paradise to Theophilus. O Dorothy, as fellow contestants you were counted worthy of divine glory. Ask that we who praise you may receive the forgiveness of our sins. Through Christ our Lord. Amen.